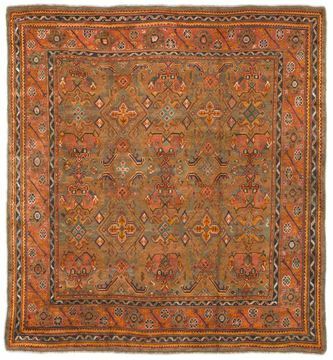 Oushak rugs are a specific type of Turkish rug originating from the city of Oushak and are prized for their exceptional texture and large-scale designs. 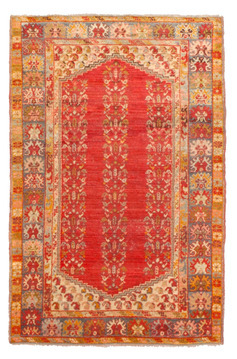 Oushak, located in western Turkey, has been a major center of rug production since the Ottoman period. 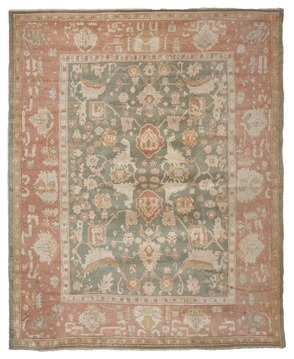 Many of the great masterpieces of early Turkish carpet weaving from the 15th to 17th centuries have come from Oushak. 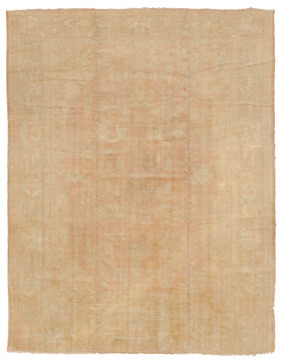 Less, however, is known about what happened to production there in the 18th and early 19th centuries. 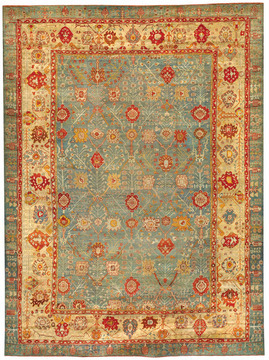 It wasn't until around 1900 that Oushak reemerged as a major production center, this time for room-size decorative carpets, which remain desirable even today. 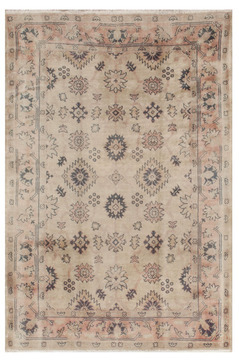 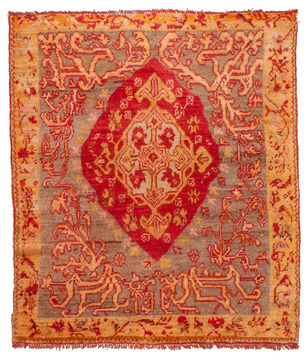 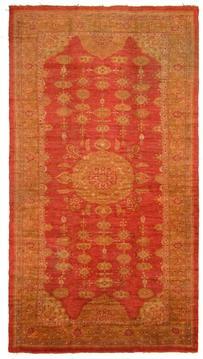 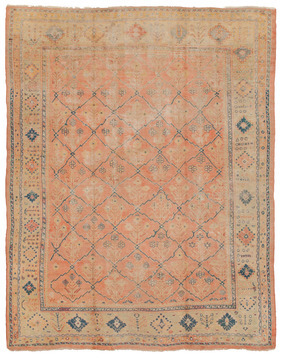 Oushak rugs are primarily notable for the grand, monumental scale of their designs. 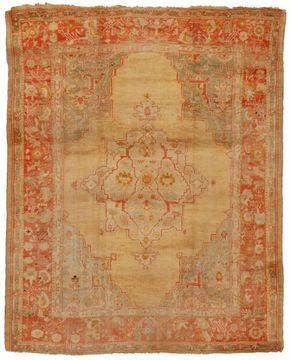 They can ither feature oversize central medallions, patterns of smaller and scattered medallions, as well as sprays of vine-scroll and palmettes. 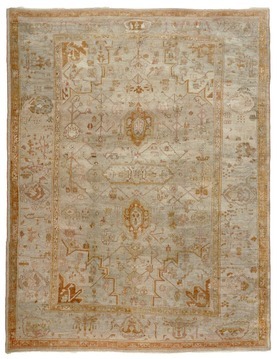 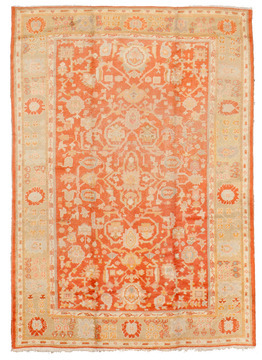 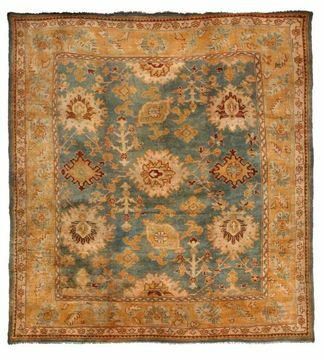 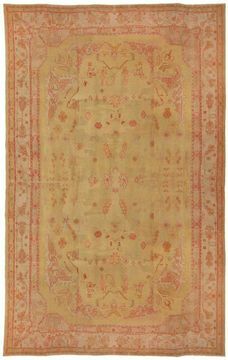 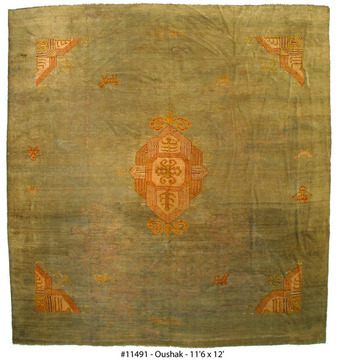 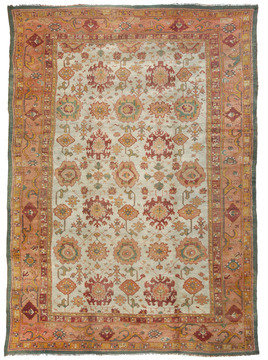 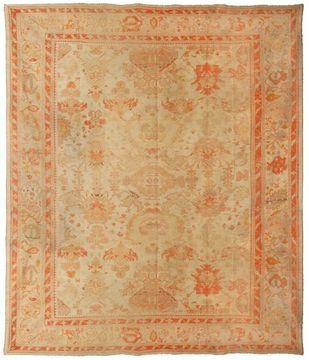 Oushak carpets often have subdued color palettes of soft apricot and golden saffron. 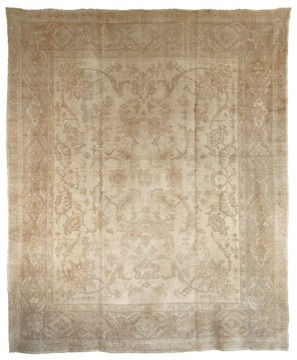 The hushed tones are enhanced by their soft and lustrous wool texture.